After seeing both fighters weigh in, Mike, Steve and former two-weight world champion Paulie Malignaggi give their final analysis of Terence Crawford v Amir Khan. Does Khan still have the skills to produce an upset? 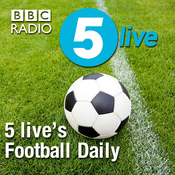 The fight itself will be live on BBC Radio 5 live and the BBC Sport website from around 4am in the early hours of Sunday morning. Anthony Joshua might be looking for a new opponent for his American debut on 1st June after Jarrell "Big Baby" Miller returned an adverse finding for a performance enhancing drug. Mike and Steve explain why the New York State Athletic Commission will be so strict around this breach, and look at the most likely options to replace him. Then, Amir Khan joins the podcast on the day of the final press conference ahead of his welterweight world title fight against Terence Crawford. Mike and Steve debate why Khan gets so much online criticism from some so-called boxing fans. As Mike and Steve arrive in a chilly New York ahead of Terence Crawford v Amir Khan for the WBO weltweight title, is there anyone currently in the sport of boxing that can inspire the same universal excitement as Tiger Woods in his Masters victory? Also, an early look at why Crawford v Khan might not be the mismatch expected by some bookmakers, and a review of Anthony Crolla's lopsided four round defeat by Vasyl Lomachenko at the weekend. Two British boxers will take the ring against arguably the two best pound-for-pound fighters in the world in the next two weeks, so do either Anthony Crolla or Amir Khan have what it takes to create a historic upset against Vasyl Lomachenko and Terence Crawford? Crolla and Khan join the podcast to discuss how they've approached the fights and explain how they see themselves winning. On the other side of boxing's mysterious and sometimes frustrating politics, Dillian Whyte is desperate to get his first chance at a world title, after a rematch against Anthony Joshua failed to materialise. He's the star of a new BBC documentary called Dillian Whyte: Fighting to be Champ, available now via the BBC iPlayer, and discusses his frustration with the heavyweight division and his desire to test himself against the best. At the start of 2001, Lennox Lewis was the king of the heavyweight division and after a long-rumoured fight against Mike Tyson failed to materialise, Lewis went to South Africa to fight fringe contender Hasim Rahman. Rahman knocked Lewis out in one of the biggest upsets in the history of the division. 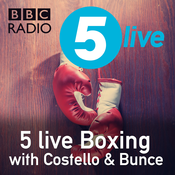 Both boxers join the podcast to look back on the fight, the rematch, and the reasons for Lewis's defeat, and Mike and Steve ask whether any parallels can be drawn with Tyson Fury, Anthony Joshua and Deontay Wilder's upcoming fights against unfancied opposition.